Masters of chic Italian comfort! It doesn’t happen every day to see a production line churning out something like 1,200 sofas a day! All with a few precise rules: quality, to the smallest detail and safety. The partnership with Scm Group lasts for over 20 years. Franco Tartagni welcomed us with a broad smile: it is said that factories reflect those who set them up and manage them. In this case it is true. This is a large factory, over 45,000 square meters, where everything is organized, well-kept, even pleasant; a factory that seems to smile. Of course there are issues, things to improve and dozens of things to resolve, but the feeling is absolutely positive: it’s a nice place. We are at the Faenza headquarters of Atl, a veritable giant in the production of upholstered furniture, with a turnover of 82 million Euro in 2016. He is one of the founding fathers of this company, with a long history marked by skills and passion, the desire to create something good for himself and for others and the will to reach further. “... expression of our forty years of business”, tells us Tartagni satisfied. “In 1976 my partner Luciano Garoia and I decided to go it alone. We are in the heart of an area renowned for the production of upholstered furniture and we worked for a company that produced the polyurethane for the upholstery. In those years there was no shortage of work and it didn’t take a lot of courage, I must admit. We were very pleased that a few colleagues decided to take the plunge with us in this adventure and in the end there were eleven of us and two girls who were so young that they couldn’t even be partners. This was the beginning of our cooperative Cipes, with Garoia and I running it, which to this day, after many years and a lot of water under the bridge, is a pillar of the Atl Group, of which it holds 30%. The first year was terrible, also because someone feared that what we did could inspire others, throwing into disarray an entrepreneurial landscape that was very traditional. We held on, finding our first customers outside of the Forlì area, and things started going well; probably due to the fact that we understood before others, that the most important thing was service. The demand was strong and the factories had to concentrate on their work, outsourcing all the upstream machining operations to third party subcontractors. Over the years we learnt to do everything, to give our customers in white processed upholstery frames ready for being upholstered. We bought two woodworking workshops, today part of our new headquarters in Faenza, to construct upholstery frames, structures, etc. We grew quickly and little by little we started producing finished sofas, ready for the customer. This step led us, in 1997, to becoming suppliers of an important large scale retailer and, in 2002, of a chain of top of the range shops with a worldwide presence”. Everything went splendidly: the group, thanks to start-ups and takeovers, grew stronger and developed its skills so that it could approach the market by offering everything, from design to the finished sofa for a living room or office. Important collaborations that opened new possibilities were consolidated: from the residential to the contract, with the capacity to manage and produce for different market segments, from the more ordinary products to leather sofas with sophisticated shapes. “In 2010 we came into contact with a well-known and consolidated Italian large scale retailer, with 200 retail outlets, which gave us an important challenge: producing one thousand sofas per day”. “I won’t go into details, but we bought from the multinational company Golden Lady the Omsa plant that they had decided to close and we turned it into the factory that you see today”, tells us Tartagni looking around. “We employed 150 of the people that they would have laid off. On 22 April 2012 we bought the building and in September we started producing with the new staff trained with our intensive courses, in a completely renovated building and a brand new plant. In a few months we achieved a miracle, without taking into account the earthquake that struck the Emilia area in those months and which brought many of the workshops that were working for us to their knees”. In the 45,000 square metres of the Faenza factory they produce 1200 sofas a day: “I think it’s the largest plant for upholstered furniture operating in Italy today”, explains Tartagni. 500 of the group’s 600 employees work here, as well as at least another 300 subcontractors, for the production of sofas, cutting the polyurethane and in the woodworking workshop, that serves all the group’s production units. The top of the range leather sofas are produced in the 10,000 square metre Bertinoro plant. But the new Faenza plant is truly impressive: “… it’s an extremely flexible plant, that allows us to do every day what we set out to do”, continues Tartagni. “If, for example, we have scheduled that today we must produce 1,125 sofas. By tonight 1,125 sofas will be loaded on the lorries. Bear in mind that every day we work on at least 60 different models and each model has twenty versions, which means that the 1,200 sofas that on average we produce every day are in 300 different versions in terms of shape, colour, size, number of seats and functions. Each shuttle of our plant is the bench where one of our sofas is constructed and assembled from the first wooden pieces for the structure, to the finished product. All according to a set schedule and a computerised management that warns each work station of which materials, mechanisms or materials they must prepare for the next sofa”. But how does it all run so smoothly? “Thanks to the organization and the technology, even if producing a quality piece of upholstered furniture is a job that requires a high level of craftsmanship, where the human skills and touch always make the difference. Especially in the final phase, in the upholstery, where the sofa or the armchair are dressed piece by piece and where the craftsmanship of the worker makes the difference: bear in mind that for each high quality leather piece of upholstered furniture that we build, at least seven or eight hours are required for the upholstery. And here there are no technologies or automatic processes, but just great skill and an immense passion for the job”. Where does technology help you? “During the cutting phases, of the wood and the materials or the padding. Here we have perfected the procedures so that the preparation of the semi-finished pieces that our craftsmen will then assemble is as industrial as possible. At the beginning of our work as joiners, when we purchased the two laboratories, that for us became of strategic importance, because they allowed us to manage the entire product chain, we had at our disposal only a few traditional and simple machines: band saws, some planers, a multi-blade, cutters and little else. Also in terms of safety, the latest technologies have allowed us to make some significant improvements. It was the desire to make certain phases of our process safer that brought us into contact with the SCM Group. It was 1988 and we discovered that they had a machine that suited us, allowing us to work in complete safety on wood and panels. We bought one immediately and it was the beginning of a very satisfactory relationship that lasts to the present day. We grew with them, we learnt to know each other and find the most suitable solution. They installed our first panel saw and, recently, another angular system, two machines that allowed us to take a huge leap forward in terms of productivity and safety. You see, if today we are capable of producing 1,400 sofas a day it’s because we have invested in people and technology. Applying precise organisational criteria, keeping up with the technological innovation has meant lowering production costs, streamlining our procedures, increasing our possibility of guaranteeing our customers what they ask. Always in utmost safety, which for us is paramount”. A visit to the large woodworking workshop in Faenza reveals what Tartagni means. Stacks and stacks of pieces, wooden parts, ready to feed a non-stop production chain. About forty operators work in two shifts to prepare the strips and shaped parts that, joined together, will become the structure of a sofa or armchair. “A well-made and sturdy wooden structure is not worth much, from an economical point of view, in relation to the final cost of a sofa. At Atl though we believe that a good structure is essential for a good sofa. It’s not worth cutting corners, so much so that we use first rate panels and wood, a philosophy that applies to all the raw materials that enter our plants. Producing large volumes, as I said earlier, requires no problems or interruptions in the process. It’s certainly not worth compromising the effectiveness of our assembly line for a poor quality panel or a piece of wood that suddenly breaks”. “A few months ago we purchased from SCM a third Gabbiani panel saw, that we added to our other two, which I think is a small revolution in the panel sizing world. We defined this project with the Rimini technicians, because we were looking for a solution that allowed us maximum flexibility. 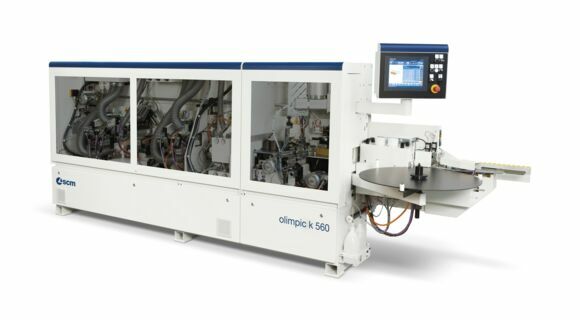 The result exceeded our expectations and we have a cutting line that allows us an incredible level of productivity. We can machine any type of material without any issues, without neglecting the convenience of aggregates, with which we can turn the panels and, to all intents and purposes, machine them as if it were an angular system, relieving the workload for the operators. Now all you need to do is load the panels and wait for the suction cups pushers to do the rest! 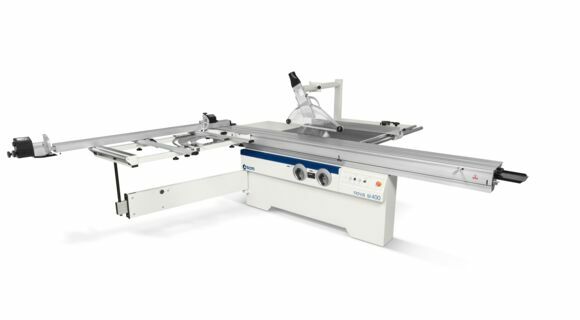 It is an extremely versatile and powerful machine that has changed the way we work in our woodworking workshop. 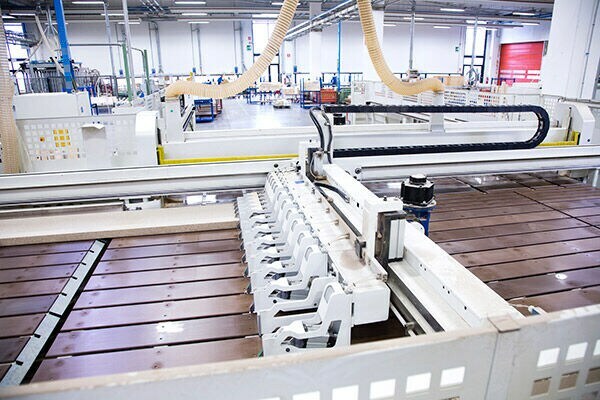 Before we were always running behind, but now the production of most of our semi-finished products can be managed easily, which for a highly structured schedule such as ours is an extremely important advantage. We are so satisfied with this way of resolving any issues that we are already assessing new investments for our machine inventory of nesting work centres. In fact we have used SCM Record-Accord solutions for years, whose update, I am sure, will give us the same satisfactions that we have had up to now and with the latest investment. And there is another aspect of our relationship with SCM Group that I want to mention: the quality of the technical support. Our systems must be reliable in any circumstance. This is why we chose technological partners that can provide the best support".